Today almost all manufacturing industries have started depending on the CNC machining rather the conventional process. CNC is nothing but computer numerical control. Earlier these manufacturers were using engineer operated equipment like center lathes, vertical millers, shaping machines, and routes. There is lot of advantages of these CNC machining. The main being, in many cases, these CNC machining are completely replacing operator required equipment. This is the reason majority of the manufacturers of all types are choosing CNC machining for prototyping. They are suitable for manufacturing applications and even for fabrications. CNC is the best choice because it provides expedient, efficient, as well as precise production. These are the capabilities needed when the requirement is for creating the large quantities of parts which are otherwise produced using shaping machines, vertical miller, router, center lathe, and grinder. Compared to the conventional method, these CNC machining comes with certain types of production as well as financial advantages. For example before CNC machining came into picture, they were using manual lathing which demands skilled technician to operate each and every machine. But in case of CNC machining single skilled worker can handle several machines all at once. Aerospace, agriculture, dental, automotive, construction, firearms, electronics, military, metal work, and hospitality are some of the industries which demand more precision and prefer CNC machining for prototyping. CNC machining or computer numerical control machining is nothing but a process which is used by manufacturers to produce items, prototypes, or any other machines parts. The machines used for this process are known as CNC machines. CNC machines are the machines which make use of computer numerical control rather going for machine tools like mills, grinders, lathes, and routers. This CNC is completely different from PCs which are typically used and they use different software for controlling the machines. This software completely customized and is programmed using G-Code. This G-code is a different CNC machine language which offers precise control and comes with features like coordination, location, speed, and feed rate. So, there will be specialized software which has capabilities to drive this computerized CNC machining. So, there will be a skilled worker who is responsible for providing the commands to the machines. This single worker’s work is equivalent to many operators who control routers, grinders, mills, lathes, and shapes when we compared to conventional method. There are actions like holds, achieving reaches, which are precisely achieved by CNC machining compared to conventional method. When there is demand for large number of parts, majority of the manufacturers goes for CNC machining either it is plastic or metal. When the parts need several cuts, CNC machines can automate this and make the job easier. CNC machining: is it better than conventional method? Even though both the conventional method and CNC aim for the same thing, they use same thing that is raw chunk of either plastic or metal, there is major difference between these two. The big difference is conventional machining is based on manual nature and CNC is supported by automation. Other than this CNC machining offers best features like speed, accuracy as well as production rate which is difficult to achieve in case of conventional machining. In case of CNC, there will be skilled employee who aims to provide programs for cutting, shaping a part. But in case of conventional machining an employee must make use of entire setup to operate a machine through which he should get the required part. Even though conventional machining offers fewer costs it is suitable when the quantity of the output is less. But CNC is best when there is high demand for the part and in this case it becomes cost effective. In case if CNC machining, employee will make use of computer – aided design or CAD software, in producing the 2D or 3D model for the final part to be produced. After this, this design will be fed into the actual software which also operates in the computer. Through this the actual component is produced which are identical to the model in the CAD. Once the design is fed to the computer, same model will be pulled again in case if the component should be produced again. This is the best advantage of CNC machining. 0.0001 is the machining accuracy which comes with CNC machining. 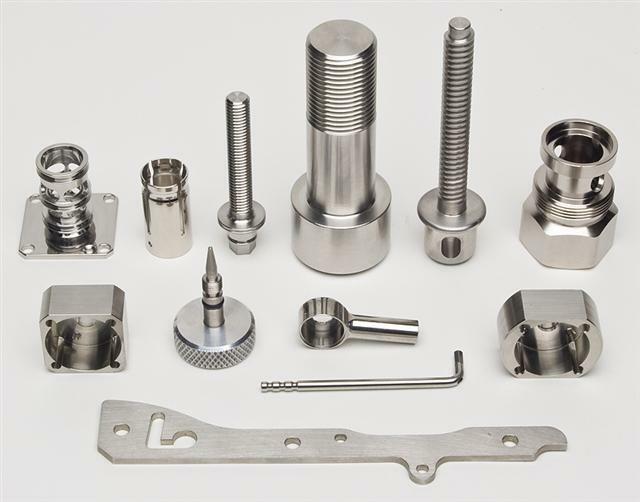 There are unconventional and conventional methods in CNC machining which are employed for many jobs and involve all types of materials like Brass, Aluminum, Copper, Foam, plastic, fiberglass, steel, polypropylene, wood, titanium, etc. There is lot of other advantages as well of CNC machining which only manufacturers will understand. Even though there will be difference in types of products and types of business, for all CNC will bring benefits. It is possible to rule out human error through CNC machining because it makes use of autonomous and digital template. This is the reason accuracy in case of CNC machining is 1/1000th. CNC machines have capability to work, around the clock on daily basis. They can be productive eve on holidays, and weekends. They only stop when there is either repair or maintenance needed. Initially one must feed specification and design parameters to CNC machines, after that they can execute consistently even for huge quantities and offer flexibility. CNC Machining: When do you give its prototypes the green light? What's different between cnc milling and cnc turning?